While I’m in Canada, I wanted to fill you in a few fun things. 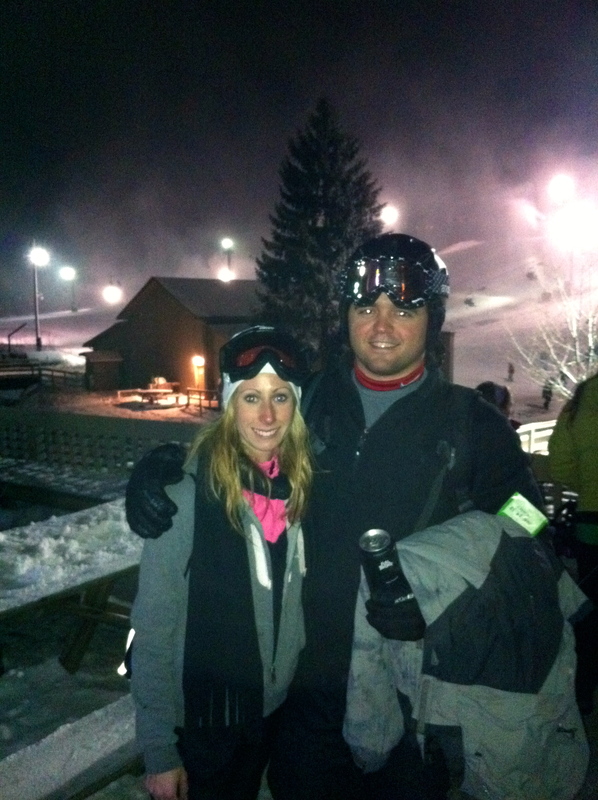 This past weekend we hit the slopes to enjoy the most recent snow storm. Last year I tried snowboarding and after remembering my large amount of falls, I wanted to try something easier and safer. So I decided that I’d spend a few hours skiing. I’ve never done downhill, but I grew up doing cross-country skiing, so I felt I kind of had an idea of what I was doing (not really). I took the beginners lesson so I wouldn’t completely embarrass myself. I definitely learned the basics and felt comfortable going down the easy hills. However, an 8-year-old in the group showed me up and was better than me the first time down, he also didn’t believe that I was in my mid-20’s so I had lost all faith from him. I spent a couple of hours on the easy slopes until Darren tricked me to try a harder one. Sorry buddy, it wasn’t easy and I pretty much had a panic attack on the top of the mountain. Somehow I made it down, secretly proud of myself that I could do it after just a few hours of learning, but didn’t want to try it again that day. I plan on going a few more times this year, and eventually investing in making it my winter sport. Of course nothing compares to running. Next up, I’m running Cleveland Half for a reason. I’ve decided that the Cleveland Half marathon will be dedicated to running for Team JDRF, the Juvenile Diabetes Research Foundation. My goal is to raise $500 by Cleveland to help support those who are looking to cure this disease. No surprise, the reason I’m doing this is for Darren, who was diagnosed with Diabetes when he was just 3 years old. I appreciate any donations and encourage you to learn more about Diabetes. The final and maybe most exciting thing is….there are 3 more days until Columbus registration opens up! I haven’t even started training or planning for this, but I’m already getting excited, I can’t help but get goose bumps every time I think about it. 2012 is the year of races!